There are two issues which are the focus for today’s post, and both have been covered on separate occasions before here in Financial Regulation Matters. In February we discussed how the stated aims of President Trump, namely to ‘drain the swamp’ with regards to lobbying influence in Washington, D.C., were immediately proven to be nothing more than lip-service with the introduction of an Executive Order that preserved the ability of Congressional and White-House Officials to lobby after their term has expired. Then, in June, we discussed how large investors and other financial organisations were beginning to develop a societally-focused approach to their business, which translated into a reduction in investment in companies that profit from providing social ills, like tobacco companies. In today’s post we will look at an article that was published in The Guardian that discusses the actualities of the lobbying environment since Trump took office, with particular attention paid to tobacco firms – ultimately, the tobacco firms, in line with the revelation that massive concessions have already been made to energy firms, provide proof if proof were needed that one of Trump’s main campaign pledges was not only false, but entirely misleading. The rise in shareholder activism this year essentially marked the accumulation of an underlying trend within the business arena concerning socially-concerned business, one which has seen the development of ‘sustainable finance’ as a genuine foundation for the future of business (despite the many shortcomings at present), and also extremely influential investors begin to the set the tone with regards to responsible investment. However, that surge in support for the responsible-investment movement has, rather predictably, led to a concerted response by those who stand to lose out. 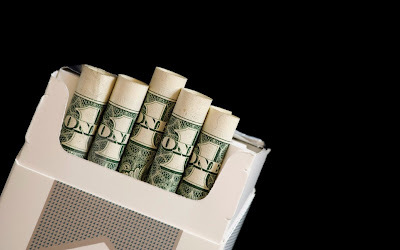 One of the key components of that opposition is the tobacco industry which, everyone should know apart from the companies themselves apparently, contribute negatively to society in terms of their products’ effects on public health, and marketing campaigns designed to entice the young and the poor, amongst a list of other negative effects. In response to a World Health Organisation (WHO) ‘International Treaty for Tobacco Control’, one of the leading tobacco companies – Philip Morris – has been waging a covert war against the Treaty by way of a ‘clandestine lobbying operation that stretches from the Americas to Africa to Asia’. In the Reuters report detailing the leaked documents which describe this campaign, it is stated that because of the anti-smoking treaty it is estimated that 22 million smoking-related deaths will be averted, although Philip Morris responds by labelling the treaty as a ‘regulatory runaway train’ that is driven by ‘anti-tobacco extremists’. Yet, whilst the companies continue to aggressively pursue business in developing countries due to the stringent policies affecting their business in developed countries, they have found a welcoming home in the United States which, rather incredibly, adds further weight to the notion developed by MIT economist Peter Temin that ‘America is regressing to have the economic and political structure of a developing nation’. Since Donald Trump took office, America’s largest cigarette manufacturer – Reynolds American and Altria Group – have donated $1.5 million to the President’s inauguration and have hired 17 lobbying firms to ‘have an active presence on the Hill’, with other leading tobacco companies following suit. The claim that many of Trump’s appointees ‘have deep commitments to the tobacco industry’ is seemingly confirmed when we consider that Jeff Sessions, Trump’s Attorney General, had to return money to the tobacco companies during his campaign to become a Senator in the 1990s because they had contributed too much! This facilitative environment was arguably demonstrated as soon as Trump took office, with British American Tobacco announcing its merger with Reynolds in a $49.4 billion takeover. The tactics developed by the tobacco companies really should not be a surprise at this point, with similar tactics being deployed in the U.K. with regards to plain-packaging, but the issue really is the environment that allows such behaviour and in this vein we must return to a concept that raises its head frequently here in Financial Regulation Matters – capture. The actual tactics of the tobacco industry range from recruiting ‘experts’ to rally on their behalf via funded research and opinion, developing underhanded campaigns to influence public opinion, or simply to ‘persuade’ policymakers by offering copious amounts of money for support. Yet, the campaign is particularly targeted so that those who can influence are specifically considered, which is represented by the understanding that tobacco firms have been lobbying excessively to keep the decision to regarding tobacco regulation as close to financial policy makers as much as possible because, rather crudely, ‘finance ministers, however, can potentially be persuaded that there is a risk of losing revenue’. Tobacco firms, in that sense, have demonstrated their intelligence and the benefit of a concerted campaign because they have realised that the new political landscape is dominated by individualism and perceivable short-term growth – seemingly the calling card of the U.S. and U.K. governments. This realisation is demonstrated by the tobacco companies consciously and disproportionately funding Republican election campaigns, the Trump Administration actively delaying regulatory endeavours against the tobacco companies, strategically-inspired governmental promotions of those opposed to tobacco reforms, and proposed legislative cuts to endeavours that are concerned with education regarding the negative effects of smoking; Trump himself has been a keen investor in Tobacco companies, and Vice-President Mike Pence recently argued that ‘smoking doesn’t kill’ before accepting donations from the leading tobacco lobbyists’. Ultimately, there a few deductions that one can make. Not that previous American governments were not captured because, quite frankly, lobbying is a massive a business in the U.S. but, in Trump’s America, it is clear that the Government is captured. Secondly, the absolute nonsense that Trump espoused during the campaign trail that he would ‘drain the swamp’ was not just a mis-statement, but an outright lie. Lastly, the disdain that is demonstrated by Governmental and elected political officials for the poor in the U.S. and the U.K. is reaching levels that have rarely been seen in the modern day – smoking affects the poor considerably more than any other group, yet the people who went to the polls are actively having their interests ignored and downplayed. The result of this one instance, of which we can attribute many others like the Leave-Campaign in the U.K., is that political statements are losing whatever authority they had: it is remarkable to think that anyone could truly believe in a politician after the last few years’ proclamations have, almost universally, been proven to be untrue – the focus on short-term economic success is masking a growing disillusionment in politics that is usually the precursor to a socially-defining era of unrest and conflict; hopefully, that is not the case this time around, although subscribing to the lessons of History means that particular hope may be very fanciful indeed.